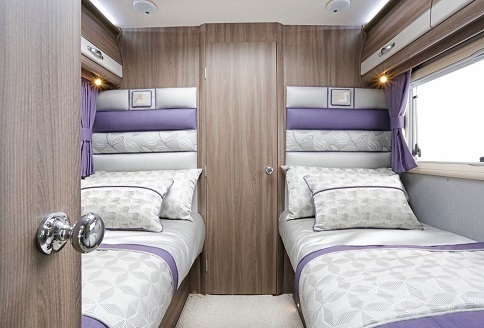 Auto-Sleeper Corinium Duo with premium, winter and media pack £68,500. 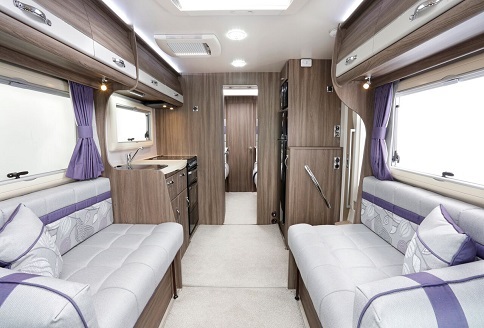 This model in the Corinium range, the Duo, shares the same cab and lounge set-up as its’s sister models also in the range. However, where the Duo differs is in the bedroom and bathroom departments. Hence, it has twin single beds in the fully enclosed, private bedroom and the bathroom is beyond to the rear. Furniture and soft-furnishing make-up is similar to all the other Corinium models with similar options available too. Auto-Sleepers have incorporated the latest technology throughout their vast range. Truma iNet control and connectivity is now standard. This means that remote heating control is available via the down-loadable Truma App. 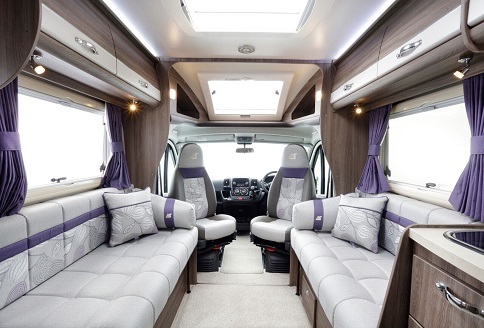 As with other Corinium models, the Duo is available as a 3500kg model which allows any UK license holder to drive. Upgrades for greater payload are available which increase MPTLM to 4000kg and therefore restrict some drivers. So, with a stylish Peugeot cab and all-embracing Euro 6 engine and blue cleaner diesel option there’s no need to worry about the environment. 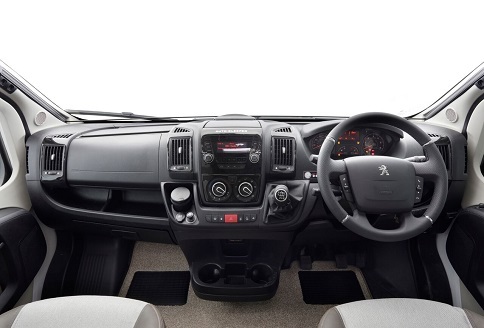 Fitted with Peugeot’s 6 speed manual gearbox, a Fiat cab, engine and Comfortmatic automatic gearbox are optional. Hence, there is a solution for manual or automatic drivers alike. . 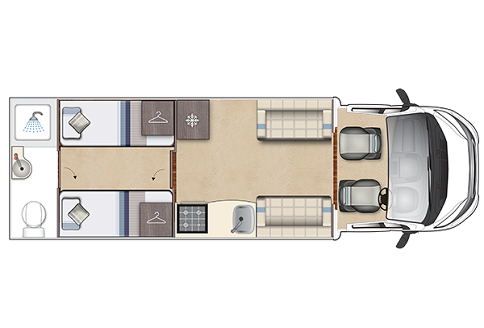 Taking greater, in depth look at the Auto-sleeper Corinium Duo you will find a stunning array of standard, luxury equipment. From beautiful, luxurious Belgian fabrics to Comfortable “Reflex Foam” filled soft furnishings. And, for drivers, the full Peugeot driving aid package with ESP, ABS, EBA and EBFD too. 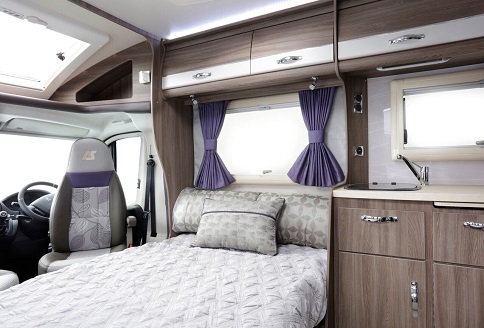 In fact, comprehensively equipped kitchens are a key feature in an Auto Sleeper. Washrooms are also very important, and the Corinium Duo’s doesn’t disappoint. In addition, enhancing winter use via a winter pack adds real, year around usability and value. Safety wise, we have ESP braking with active skid control. Also, with ABS braking, Electronic Brake Assist and Electronic Brake Force Distribution. 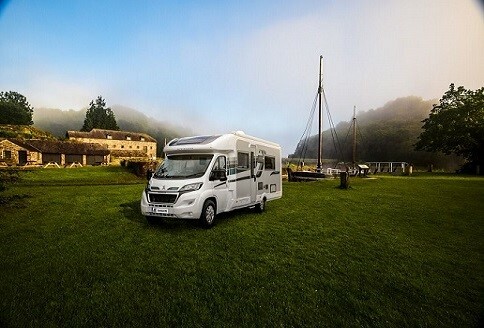 The Corinium Duo is a very safe Motorhome to drive. Finally, there is the option of a Fiat package. In addition to having an option of 130 bhp or 150 bhp at an additional cost. there’s good cab specification too. The Fiat Comfortmatic automatic gearbox; Premium, Winter, Media Pack and weight upgrade options all mean that you really can choose a Corinium Duo to suite your individual requirements.